There is yet another benefit to purchasing a vehicle from Honda of Jefferson City! 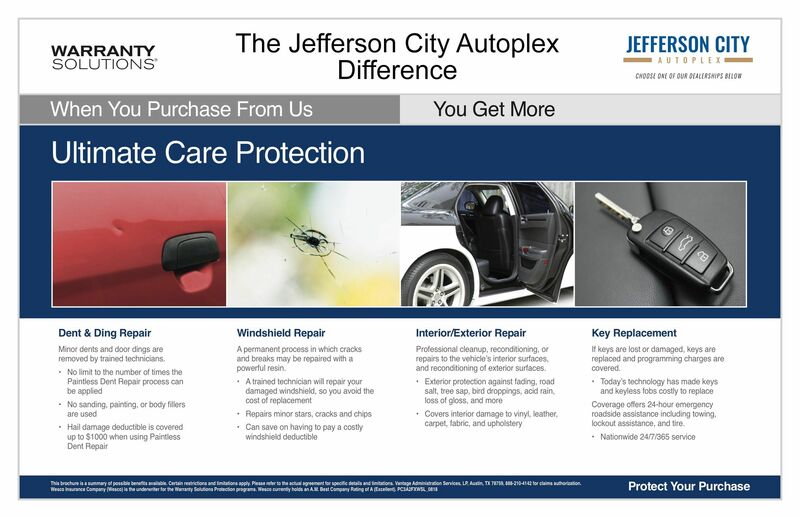 Our new Jefferson City Advantage program provides protection care for both new and used vehicle purchased from our inventory. For 6 months, we will provide a variety of coverage for service and repairs. Our new program is offered free of charge with no gimmick to the customer. For more information about the programs check out our care protection features or send a contact form to one of the friendly experts and Jefferson city today!